The Veronica Mars movie is unique. It was funded by Kickstarter, demanded and paid for by the fans of the UPN drama which ran for three seasons in the early 2000s and made Kristen Bell a star. This isn’t quite a Firefly/Serenity scenario, but in terms of providing closure (and possibly an opening for more films) it serves the same kind of purpose. The film takes place a decade after the end of the show, right in time for Neptune High’s 10 Year Reunion, something that Veronica has vowed to avoid. She’s moved on, gone to Stanford, gotten her law degree, is weeks from taking the bar in NYC and getting a job with a high-power firm. Then her ex-boyfriend is accused of murder (again…this kind of thing happens in Neptune if you watched the show). Veronica flies cross-country initially to set her ex up with a good lawyer, but as the case grows more complex, she finds herself being drawn back into the life of a private investigator and the draw of a case unsolved. Mars feels very much like a double-episode of the show, which I mean as a high compliment. I enjoyed the show when it was on UPN and this played just like a season finale two-parter. All of the things that made the show likable: Bell’s characterization, Rob Thomas’ glib and smart scripts, and the fantastic relationship between Veronica and her father, show up in the film with tons of Easter eggs to fans. This whole movie is a love letter to the fans of the show (who did pay for it, after all). Is it a world-changing, ground-breaking film? No. I’m also not sure how well you’d enjoy it if you had never seen an episode of the show and went into it cold. I’d be interested in hearing the opinion of anyone if they did that. 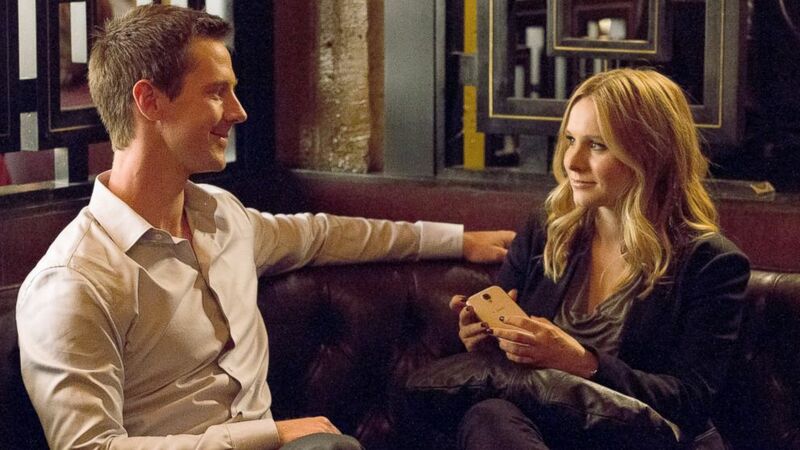 The end left me smiling and hoping there are further installments in the adventures of Veronica Mars (things are certainly set up for more installments). I think the film proves that it’s not just a role for Bell in her youth. This could be her Sherlock, returning to the character throughout her life. It’s a smart, funny mystery that made me hope the fans don’t have to pony up for the next Mars adventure.